Self-sufficient homeowners love the idea of growing fruit trees. However, Iowa's cold winters aren't suitable for some cultivars. Apples and sour cherries are the best choices for Iowa, but some gardeners grow pears and apricots successfully too. Choose a species that can withstand harsh temperatures and plant in a sheltered area. 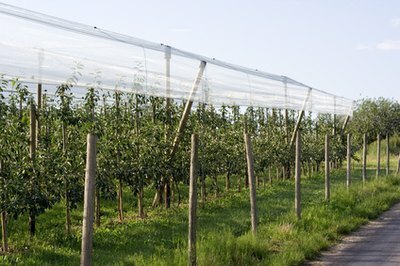 Fruit trees need plenty of water, winter protection, and spring pruning. Local county extension offices offer advice specific to your area. Carefully chosen apple trees grow well in Iowa. Crisp, flavorful "Honeycrisp" grows well in Northern and Central Iowa. Plant small trees in early spring on a sunny, southern-facing slope. 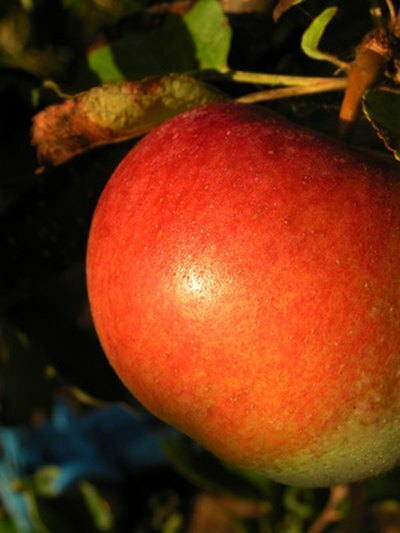 Harvest Honeycrisp fruit in mid-September. The apples are large and store well. This tree is prone to fireblight; soft scald and bitter pit afflict the fruit occasionally. The tree's mid-season bloom limits damage from late frosts. Honeycrisp tolerates cold temperatures and provides delicious fruit. "Jonafree" also blooms mid-season, making it a good choice for Iowa. Suitable for all areas, the trees have fewer diseases than most and provide medium-sized, dessert quality fruit. Crisp and juicy, use the fruit for fresh eating, baking, or applesauce. Jonafree's one drawback is a tendency to drop fruit before harvest. Choose an apple tree with mid-season blooming. Apricots are cold hardy, but like long, warm summers. Most are early blooming, which makes them somewhat unreliable in Iowa. Choose a spot with a northern exposure to delay blooming. Grow "Moongold" and "Sungold" together for best pollination. Both varieties are vigorous growers. Moongold has a spreading growth, while Sungold is an upright tree. Prune the trees in early spring to remove dead limbs and open the top of the tree to sunlight. Use fruits fresh or processed. 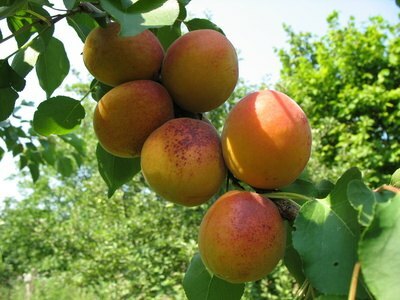 Plant apricots in a sheltered area. Sour cherries, hardy to zone 4, grow very well in Iowa. Used for cooking and preserves, cherries appear early in July before most other fruits are ready for harvest. Plant in a southern spot and water often. Cherries like a well-drained, light soil with average fertility. Sour cherries are self-fertilizing, so you only need one tree. They have few pests or diseases. Beating the birds to the crop is the biggest challenge. Try the following cultivars in Iowa: "North Star," "Meteor," and "Montmorency." 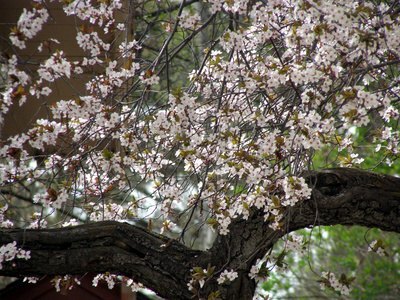 Beautiful sour cherry trees are a good choice for Iowa gardens. 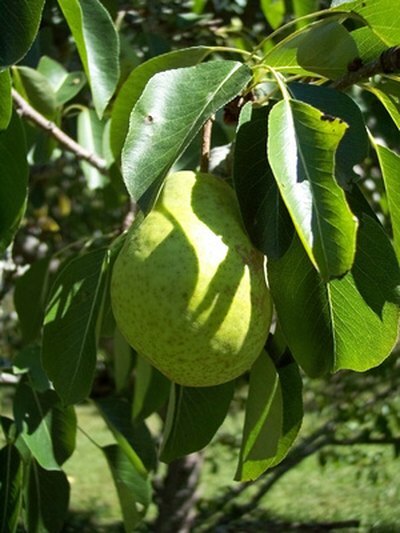 Grow long-lived pear trees in a sheltered, northern spot. Like apricots, pears bloom early and aren't always reliable in Iowa. Grow "Bartlett" in Central and Southern Iowa for excellent large fruit good for canning and fresh eating. "Summercrisp" is a dependable variety in all Iowa areas and is best for fresh eating. 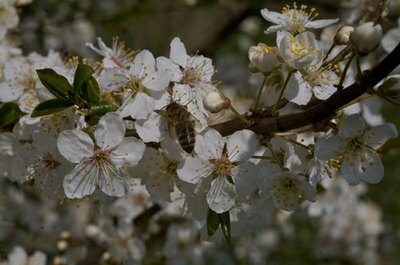 Pears aren't self-pollinating, so plant more than one tree. Prune trees lightly in the spring, as you would apples. Watch for fireblight, a bacterial disease that causes blackened leaves and twigs, and cut out any afflicted parts. Pear trees are less dependable bearers than apples in Iowa.